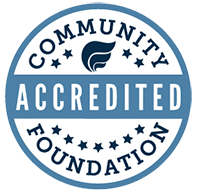 Annually the Community Foundation’s grants committees review submitted applications from eligible nonprofits. Applications are reviewed throughout the fall and grant recommendations are made to the Board of Directors at their December meeting. Below are the current year’s and previous years’ competitive grants awarded by the Community Foundation. To see a full listing of all grants awarded by the Community Foundation through all its funds annually, please see our annual reports (found HERE). Clink the link below to view the current year’s competitive grants approved by the Board of Directors. Click the links below to view prior years’ competitive grants approved by the Board of Directors.